Price: $10.00 + $2.00 shipping within the U.S.A. Shipping by USPS First Class Mail within the U.S.A. Photographer -Sandra Begotka: At home in TX or while traveling, I’m taking pictures of what I see. Thanks for checking them out. Send a note, old style. 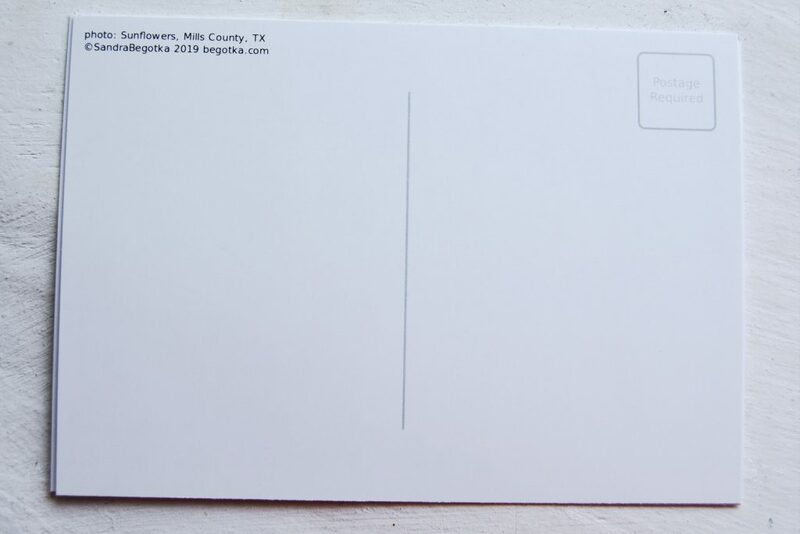 A pretty card in the mailbox is a nice surprise. Or display in your abode. 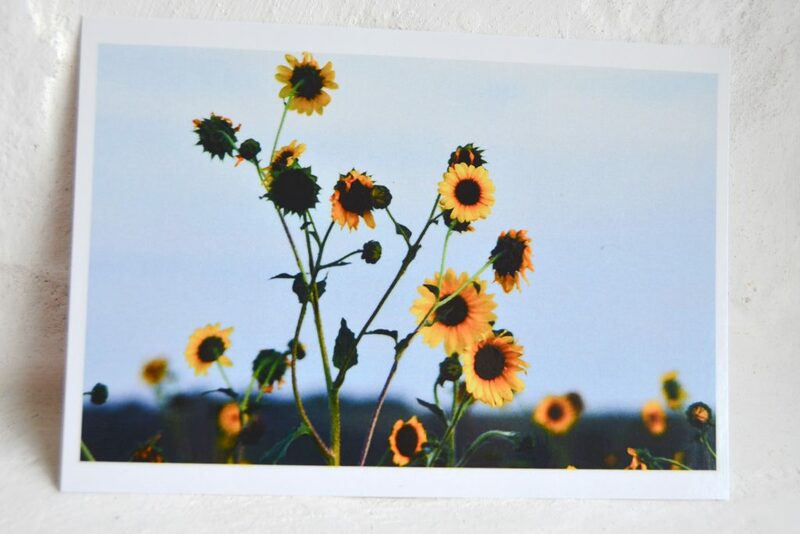 I use postcards to decorate my space. They’re my go-to lightweight camper art! 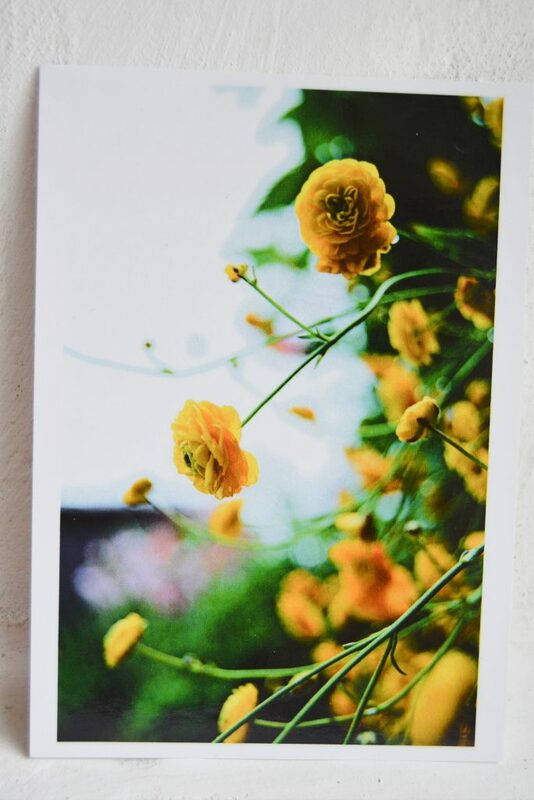 Each postcard has a short description of the photo, along with space for a note, address, and stamp. 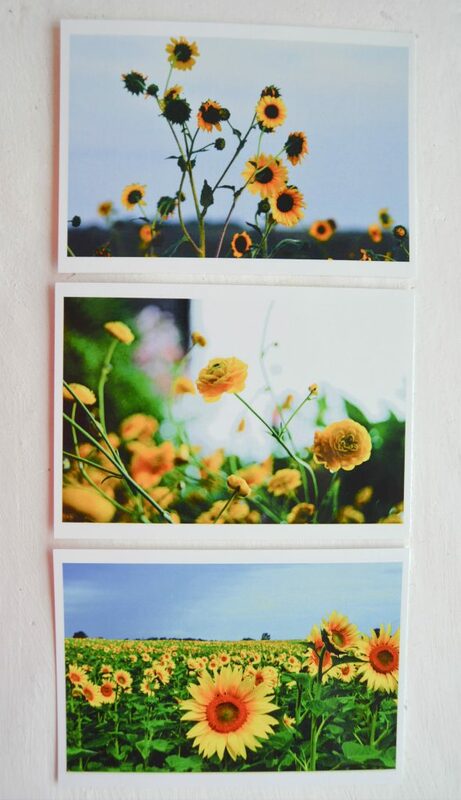 Price: $10.00 + $2.00 shipping within the U.S.A. – Set of 3 postcards. Every photo holds a memory for me. Wild Sunflowers. They’re abundant in the Texas countryside where I live. Lucky me. I appreciate living amidst a big variety of wildflowers. I saw these yellow flowers during our 2018 truck camper travels. I was in South Dakota and it was the first day of sunshine after a week of steady rain. We stopped in Custer for supplies and enjoyed walking around the town for a few hours, very happy to be dry. 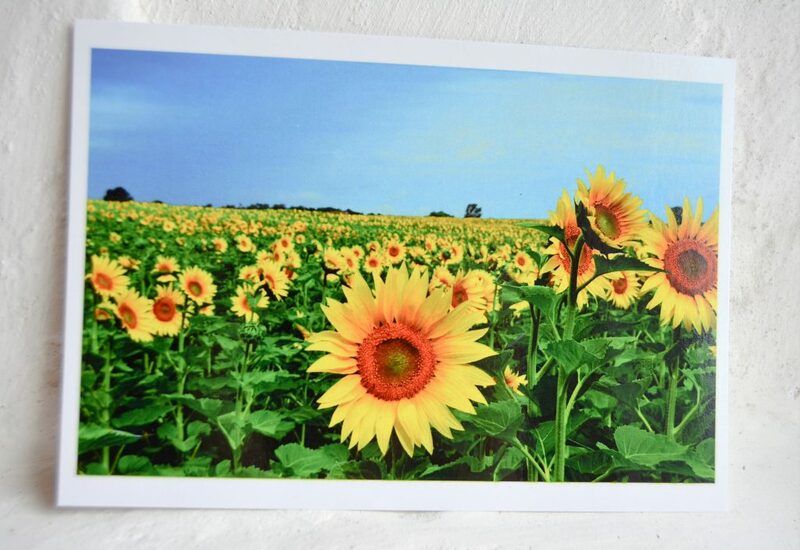 A field of sunflowers in Kewaunee County, Wisconsin. Dave and I were driving a country road along the shoreline of Lake Michigan. Across from the flowers was sparkling blue water, like the sea.